​Manchester United are preparing to reward Anthony Martial for his recent goalscoring form with a new contract worth £45m over the course of five years. Martial's days at Old Trafford seemed numbered after he was criticised by Jose Mourinho and fined by the club for taking an extended leave of absence from United's summer training camp in the United States, due to the birth of his child. The Frenchman only started one of ​United's first six Premier League matches this season, but he has now scored five goals in his last four league appearances to help his team recover from a slow start. ​Martial has already turned down a £160,000-a-week contract offer but United are set to respond with a £190,000-a-week offer. Martial wants to stay in Manchester and although his contract expires at the end of the season, United can trigger an additional 12-month extension. "It would cost us £100m to replace Anthony at least, his future has to be here at United," a United source apparently told the Sun. "There have been encouraging signs a deal can be done and also having the 12 month option has crystallised thinking on both sides of the negotiations. "United always finds the money when it is in the best interests of the club, and keeping Martial is a top priority at this current time." 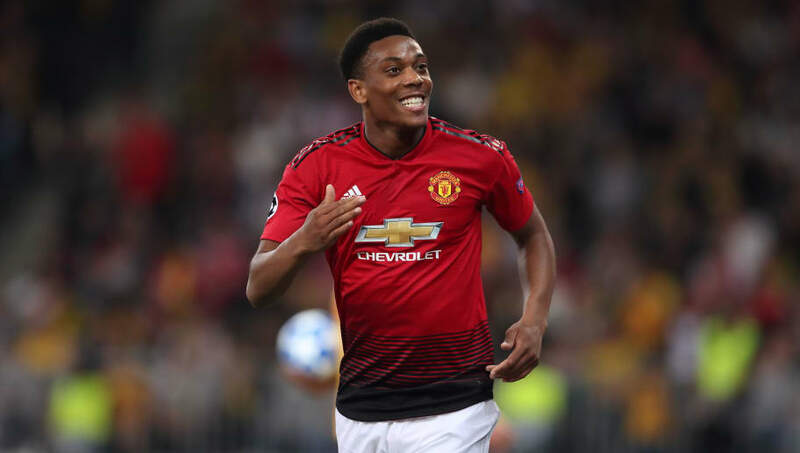 Mourinho has made it clear that he wants Martial to stay, describing him as a 'top talent' who is starting to show the consistency he has promised since his move from Monaco in 2014. ​Martial has been recalled to the France squad for their matches against Netherlands and Uruguay later this month, having not played for Les Bleus since March.